Database Systems Corp. (DSC) provides church phone calling services that can send welcome messages to new church members. This same service can be used to broadcast invitations to church events and membership drives. DSC provides telecommunications products and services including call announcement systems. DSC is a leading provider of message broadcasting services at our own managed call centers. Using DSC's advanced technology can help churches maintain contact with new and existing members of a church or synagogue. This is now a much easier task when using our church member calling services. Why Send Church Welcome Announcements? "Church call announcements are an increasingly important aspect of connecting with people who visit the church. A Church that does not follow up with visitors is a church that most likely will find it difficult to have them return for another visit." 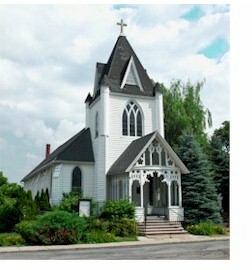 Automatic church invitation and announcement services and systems are becoming very popular and affordable these days. Instead of relying on word of mouth or publications which are quickly out of date and expensive, automatic phone messaging lets you contact your congregration instantly! 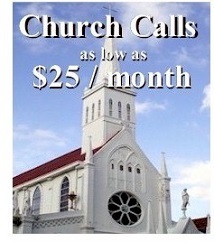 Here are just a few of the benefits and applications for this economical church phone tree messaging service. Church invitations and church announcements such as weddings and funerals can be automatically broadcast to all or part of your congregation with the same, consistent message using our automatic phone message broadcasting system. Contact DSC or visit our Church Calls website to learn more about our church welcome announcement services.